If the United States were a tree, it would have only a few rings. We don’t really have that much historical perspective to pull from when trying to figure ourselves out as a culture, at least compared to many other countries. Living in Mexico, a tree with many, many of rings, I often marvel at how the country’s oldest legends, like caterpillars worm their way into the everyday lives and psyches of Mexicans. Where we will assign our problematic cultural tendencies to an unimaginative “Just is,” Mexicans draw on historical figures from centuries ago and wryly blame them. One of their favorite scapegoats is La Malinche. Traitor, feminist, seductress, whore, Mexico can’t quite come to a verdict La Malinche, who was sold as a slave by her parents to Hernán Cortéz, the Spanish conquistador of the Aztecs (Mexicas). With her help as translator and guide, Cortéz was able to forge alliances with indigenous populations that enabled him to conquer the Aztecs. The word malinchismo is a term used in the Mexican culture to refer to a social complexity that rejects itself and favors the foreigner. 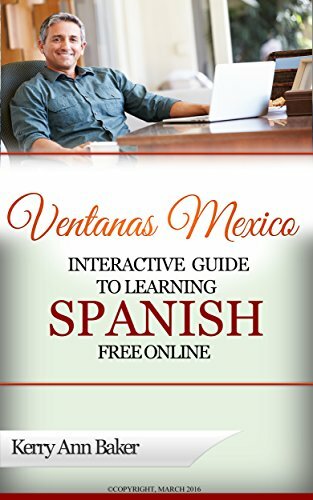 In everyday Mexican banter, if a Mexican calls a fellow Mexican “Malinchista,” they are evoking La Malinche to say a person favors the foreign, whether it’s sexual attraction, clothing, or a gift. So frequently have I heard Mexicans refer to La Malinche that it has led me to suspect that they are still working on her, trying to decide. The unusual permanence of the legend of Cortéz and the Malinche in the imagination and sensibilities of today’s Mexican reveals that they are more than historical figures, they are symbols of a secret conflict that Mexicans have not resolved. Yet, even if I feel a puzzlement bordering on sympathy regarding the social complex, it hasn’t hurt my gift-giving experience any. My Mexican friends love it when I bring small gifts from the United States even more than anyone would appreciate any gift from another country stowed in the precious space of a suitcase. While I don’t always receive a heightened level of enthusiasm whenever I give a gift from the States here, I have to confess to a secret little hope that I might stumble upon a little Malinchismo. In fact, that’s how I learned about La Malinche. A friend, delighted by a small gift from San Diego I’d stowed, first asked, “Is this from the U.S.?” When I said yes, delighted by her delight, she laughed and told me about La Malinche. La Malinche has been maligned as a woman who favored the blue-eyed and fair, the foreign, turning her back on the customs and traditions of her own people. (But then, if you were sold as a slave by your parents, you may not have felt much loyalty to your tribe either). Other historians insist that if not for her skills in negotiating and smoothing the waters, the Spanish conquest would have been far bloodier. Later she was vindicated by feminists and evolved to symbolize the Indians; violated and seduced by the Spanish. A raped woman and a raped land. In the Chicano culture, or Mexican-American culture, La Malinche has converted largely to a positive figure, a woman to be admired. She took the decision to adapt to a situation and continued to be loyal to her people, even if she hadn’t been treated very well by them. They say don’t blame La Malinche for the destruction of a nation, the Aztecs, but rather thank her for the creation of another culture entirely, that of the mestizo. Not surprisingly, given her noted physical allure, La Malinche is also blamed for Mexican men cheating on their wives and girlfriends, the argument being that Mexican men still haven’t psychologically recovered from the treason of La Malinche so cannot be faithful, forgetting entirely that she was a slave, one of 20 given to Cortéz and forced into the relationship. Rather than seeing her as the first victim of colonization they see her as the first agent of colonization. Without a doubt, some have turned her into a symbol of feminine sexuality, one that is cunning and a traitor to the Mexican male. To them, it’s not Cortéz to blame for the colonization of Mexico, but La Malinche, a slave whose femininity could not be denied, and who sold the sovereignty of Mexico for sexual relations with a white man. So you see, the La Malinche wears many interesting hats in Mexico. Once a pejorative, the term doesn’t seem to be so today. I’ve never seen a Mexican offended by being called Malinchista, just reflective. Without her, would the whole Aztec empire not have fallen? Would the mestiza culture never have been born? Or could it be that without La Malinche, communication between the Aztecs and their conquerors would have resulted in more blood and violence? The only thing we know for sure is that without her, Mexico probably would not be what it is today. Puebla is an undiscovered jewel for American expats and has its own rich vein of legends. Most recent: The wild spending spree I go on in Mexico before any longer trip back to the United States. 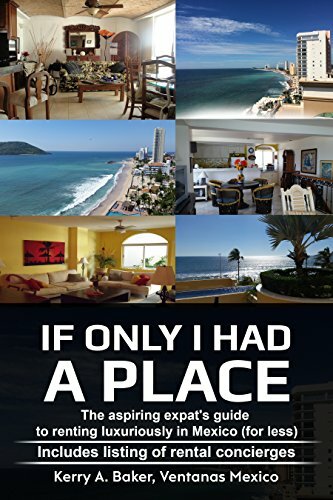 The second book, “If Only I Had a Place” is the inside scoop on renting in Mexico, the pitfalls and opportunities that await you as an expat plus a listing of rental concierges that will preview places for you.